I have been here for two times and I like the place. 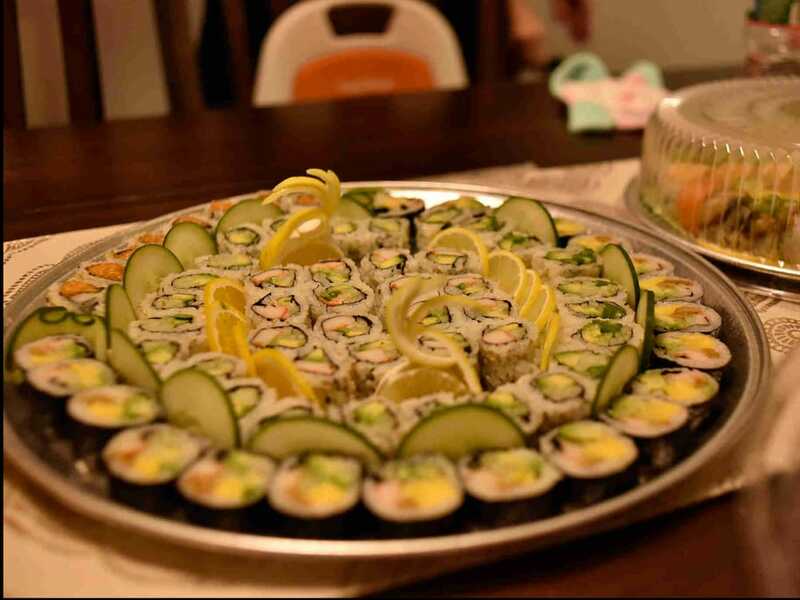 There are several kinds of food serving, including sashimi, sushi, salads, grills, fried foods, and dessert plus ice cream. The variety of food is the pros for this restaurant. Taste and cleanliness is above acceptable. There was a snow crab, too!</p> <p>P.S. I tried dinner and Sunday meal. Just finished lunch in this buffet. I really liked this place. It’s very clean, and there are a lot of sushi options. The raw foods area are very nice, instead of putting the shrimp, mussels, and clams in ice (like other buffet where a big metal plate full of ice with the seafood in it), they put ice in the plate and wrap the top so that the seafoods doesn’t touch the ice. Crawfish was very tasty and clean! My boyfriend hate to eat crawfish before, and he ate like a brunch of them after he tried one in here.